We came here “trailing clouds of glory.” Our souls know their worth! Have you ever gazed into the eyes of a newborn and felt the strength of her/his spirit? Or watched young children as they play and explore the world around them? Certain talents and abilities are plainly evident as they begin to grow and mature. Where did those particular talents come from? I believe those special characteristics that we each have are those “clouds of glory” we bring with us. 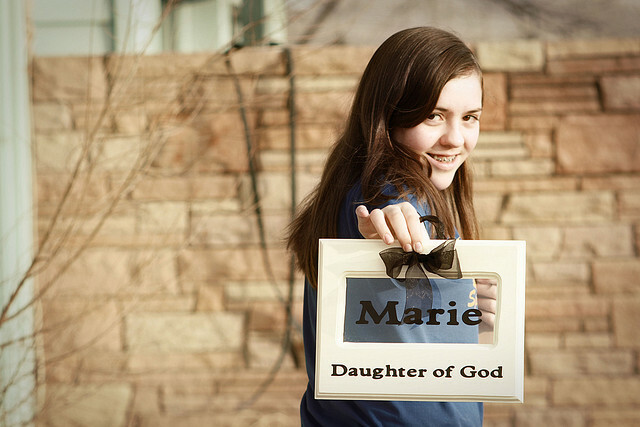 Do you know, really know, what it means to be a daughter of God? Just as children inherit traits from their parents, we inherited traits from our Heavenly Parents. We each have divine qualities that we developed before coming here. Julie B. Beck taught,“You are literally spirit daughters of Deity, ‘offspring of exalted parents’ with a divine nature and an eternal destiny. You received your first lessons in the world of spirits from your heavenly parents. You have been sent to earth to ‘prove’ yourselves. …” (Julie B. Beck, “You Have a Noble Birthright,” Apr. 2006 General Conference). Lorenzo Snow said, “There is the nature of deity in the composition of our spiritual organization; in our spiritual birth our Father transmitted to us the capabilities, powers and faculties which He Himself possessed — as much so as the child on its mother’s bosom possesses, although in an undeveloped state, the faculties, powers, and susceptibilities of its parent” (Teachings of Lorenzo Snow, p.4). We come here knowing we are divine and of great worth, but sometimes, many times, we allow ourselves to listen to the clamoring persuasive messages of the world. You are a failure. You are too fat. You are ugly. You are just a stay-at-home home. You are worthless, no good. She’s better than you at cooking, keeping a clean house, singing. You can’t do this, why do you even try? Look, they have something you don’t! 1. Strip ourselves of pride and envy. Pride works in two ways. We either fall into the trap of thinking we are better than others because we are smarter, more talented, and wealthier, or our pride tells us the Lord can’t use us if we don’t have enough money, prestige, or power. Envy makes us jealous coveting for things that are not ours. It can make us feel negative towards others and creates an “us against them” mentality. Both envy and pride keep us from knowing our worth. Alma asks us if we are stripped of pride and envy. (Alma 5:28-29) It is often a painful process to strip away the layers of pride and envy we have allowed to build up in our hearts. We have to let go of the worldly definition of success and humble ourselves. Once we do, a very interesting thing happens. “Humble yourselves in the sight of the Lord, and he shall lift you up.” (James 4:10) In our efforts to become meek and lowly, we are lifted up by the grace of God! We begin to feel the companionship of the Spirit more in our lives. The Spirit testifies to us that the Lord is pleased with our efforts, and we begin to feel our true worth once more. President Dieter F. Uchtdorf has taught, “Disciples of Jesus Christ understand that compared to eternity, our existence in this mortal sphere is only ‘a small moment’ in space and time (D&C 121:7). They know that a person’s true value has little to do with what the world holds in high esteem. … The Lord uses a scale very different from the world’s to weigh the worth of a soul” (“You Matter to Him,” Oct. 2011 General Conference, Ensign, Nov. 2011, 20, 22). Ingratitude, according to President Joseph F. Smith, is “one of the greatest sins of which the inhabitants of the earth are guilty today” (Gospel Doctrine, 5th ed., Salt Lake City: Deseret Book Co., 1939, pp. 270–71). I believe it is one of the greatest sins because it is the one we most often commit. We are ungrateful. We fail to see and acknowledge the blessings that are abundant in our everyday lives and instead focus on what we don’t have. Both abundance and lack [of abundance] exist simultaneously in our lives, as parallel realities. It is always our conscious choice which secret garden we will tend . . . when we choose not to focus on what is missing from our lives but are grateful for the abundance that’s present—love, health, family, friends, work, the joys of nature, and personal pursuits that bring us [happiness]—the wasteland of illusion falls away and we experience heaven on earth (Thomas S. Monson, “Finding Joy in the Journey“, Oct. 2008 General Conference). We will always lack something. If we choose to focus on what we do not have, we make ourselves miserable. We get caught up in the “if only’s” – if only I had this, if only I could do that – I would be happy. One of my favorite scriptures of all time is a simple little one not often quoted. Philippians 4:11, “Not that I speak in respect of want; for I have learned in whatsoever state I am in, therewith to be content.” We will always have something to be grateful for in whatever stage of life we are in. We just need to look for it. President Henry B. Eyring has been keeping a gratitude journal for years. He would write a few lines every single night after asking himself, “Have I seen the hand of God reaching out to touch us or our children or our family today?” (Henry B. Eyring, “O Remember, Remember“, Oct. 2007 General Conference). This one question, “Have I seen the hand of God reaching out to touch us or our children or our family today?” is powerful. The answers are even more so. Why? When we name our blessings, we are showing God we value what He values; and we notice that what He values most is us. Every Christmas I look forward to listening to O Holy Night especially the line, “Long lay the world in sin and error pining ‘Til He appeared and the soul felt its worth” (O Holy Night, Adolphe Charles Adams, lyrics by Placide Cappeau de Roquemaure). It is through the Atonement of Jesus Christ we are able to overcome not only our sins, but all our sorrows and heartaches, all our pain and suffering. The Atonement was performed on our behalf. Have you really thought about what that means? The Savior loved us enough to take upon Himself our infirmities and sins. “Sisters, we all need to believe in ourselves as God’s “agents” much, much more than we do, activating the gifts and the powers He has given us as if He Himself were here. On the outside we may seem to be “little people,” little everyday souls with everyday problems, but we are the everyday instruments God has always used to do His work and perform His miracles from the beginning. This is that power of the Atonement to which we pay much too little attention—not only did Christ save us from our sins but He saved us from ourselves, our horrible warped opinions and negative views of ourselves. That is the miracle of being reborn and “spiritually begotten of [the Savior],” as King Benjamin said, of saying that we are “changed through faith on his name” (Mosiah 5:7). 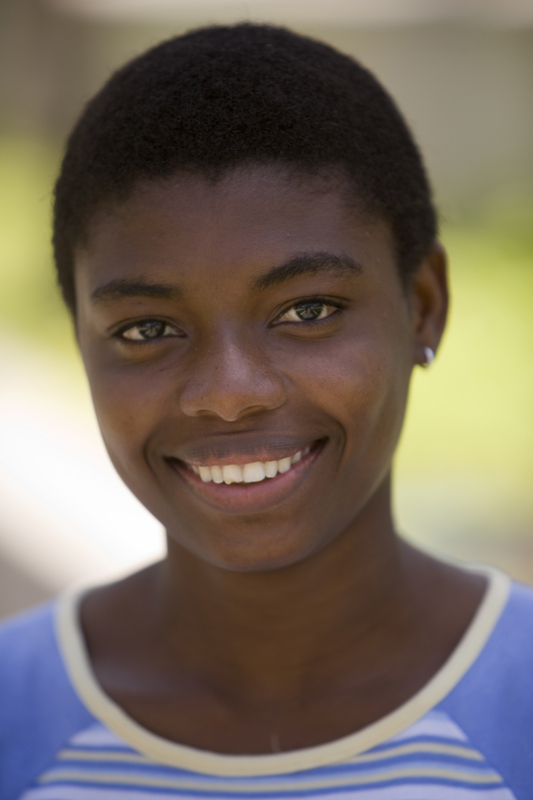 If we say we are “changed through faith on his name,” then let’s act like such a change has occurred” (Elder Jeffrey R. Holland and Patricia Holland, “What Time Is This?“, BYU Women’s Conference, May 4, 2007). When we truly utilize the Atonement in our lives, we come to recognize our divine worth as daughters of God. Let us step up to the tasks He has called us to do! “I have been drawn to an interchange between God the Father and His eldest and Only Begotten Son, who is the ultimate example of living up to one’s premortal promises. When God asked who would come to earth to prepare a way for all mankind to be saved and strengthened and blessed, it was Jesus Christ who said, simply, “Here am I, send me” (Abr. 3:27). Between now and the day the Lord comes again, He needs women in every family, in every ward, in every community, in every nation who will step forward in righteousness and say by their words and their actions, “Here am I, send me.” My question is, “Will you be one of those women?” (M. Russell Ballard, “Women of Righteousness“, Apr. 2002 Ensign). We are among the “noble and great” daughters of God. We are prepared with testimony, the gift of the Holy Ghost, covenants, and personal spiritual strengths. As we strip ourselves of pride and envy, practice gratitude, and utilize the Atonement in our lives, the Lord will magnify our efforts because we are worth it to Him. This post was perfect for me today. It was exactly what I needed to hear. Thank you! This is a beautiful post, Montserrat! 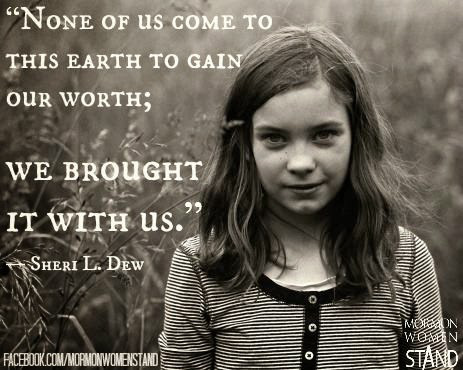 We all need to be reminded of our divine worth as daughter’s of God. Thank you! Very well said, Montse! Once again, you are spot on! I truly believe that if we change our pattern of thinking, realizing who we really are, have an attitude of gratitude, and find the good in every situation, that we can change our lives for the better, change our communities for the better, and change the world for the better. and who doesn’t want a better life, community, and world?